Proper cleaning, maintenance, and testing of your aquarium are essential to the health of your fish and the appearance of your tank. It’s much easier to perform proper preventative maintenance on your glass or acrylic aquarium than to wait until you run into problems with unhealthy fish. 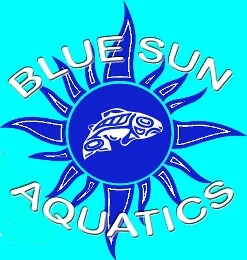 Blue Sun Aquatics in Jacksonville, Florida has the knowledge and experience needed to perform the time-consuming maintenance and procedures. Blue Sun Aquatics offers many options to help maintain your aquarium. To create a healthy aquatic environment, we use synthetically salted water, with optimal salinity; we change the water using reverse osmosis. Our professionals also offer their expertise in cleaning the glass or acrylic surfaces in your aquarium, as well as cleaning or changing the filters. Our experts will also inspect the health of all your marine inhabitants and the operations of all equipment. Call (904) 333-3851 or email us at bluesunaquatics@yahoo.com today to speak with our staff and receive a custom quote for aquarium maintenance service. Copyright 2007-2013 - Blue Sun Aquatics, Inc.